Does Your Classic Car Need a Will? I often get to meet the widow who has been left the cars. Some widows have a hard time letting go of their deceased husbands cars and they need help with the process of moving them to a new home. Some cars stay in their garage so long we have to drag them out with a tow truck. I wonder if it would help the widow if the husband left a will for the disbursement of the cars? I once had a client who sold his car to a dealer friend because he didn’t want his two sons fighting over it. Guess what? When the children saw the car for sale, they came in and bought it to share it. Sometimes I’m the one explaining that the treasured classic that the husband has boasted about for years, is not the pristine wonder that they have been led to believe. I just had a client who asked me for my assurance that when he went, his daughter could call me and get help to sell it. He was unusual in that he wants it to receive a full paint restoration so he can enjoy it even more in the time left. Many people I meet mention that they want to leave their car to their sons but it’s said at such an age that they have no idea if their son will want it. Of course the one that takes the cake is the lady who complained to me that the City of Brampton wouldn’t allow her husband to be buried in his Corvette. I guess you have to know if your wishes are realistic! 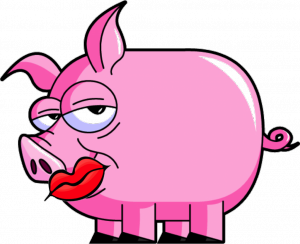 Lipstick on a Pig features excerpts from the vast library of Maurice Bramhall’s experiences.